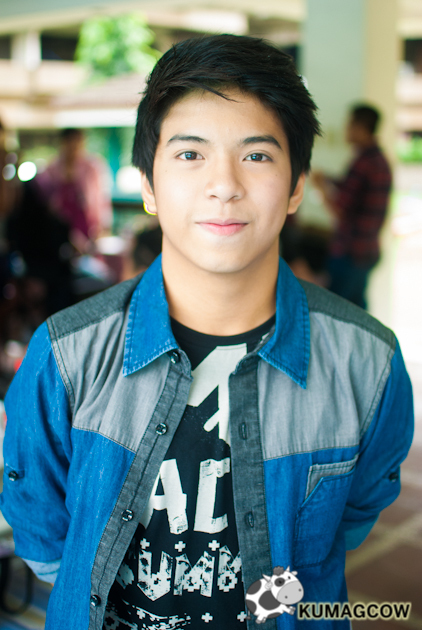 I didn't post this yesterday because I knew you were a little busy with Gimme5 and NLEX's appearance in GGV. 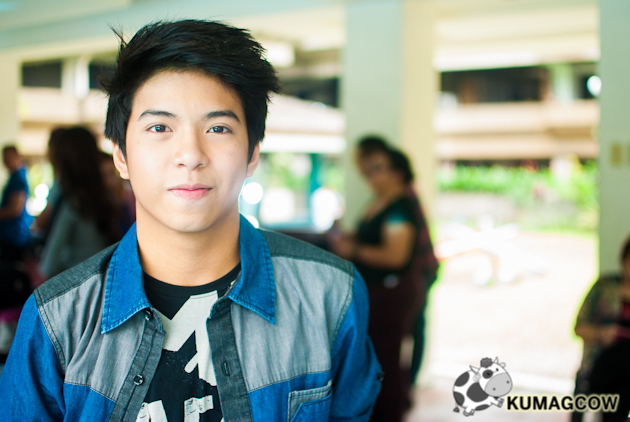 Anyway, I'm giving you the opportunity to see what happened behind the scenes and a short interview that we had with one of BUM's ambassadors, Nash Aguas. I thought all along the kid actually forgot who I was but it was nice to see him remember me even for a bit. He's a charmer, he's one of the good guys and when we sat down to talk, I felt he was very genuine in answering questions. I know why he's been loved by his fans now, it's not just because he looks good and confident in front of the came... the boy has good attitude, and when he talks he's like a friend you can chat with for hours. I think that's where his charm lies too. 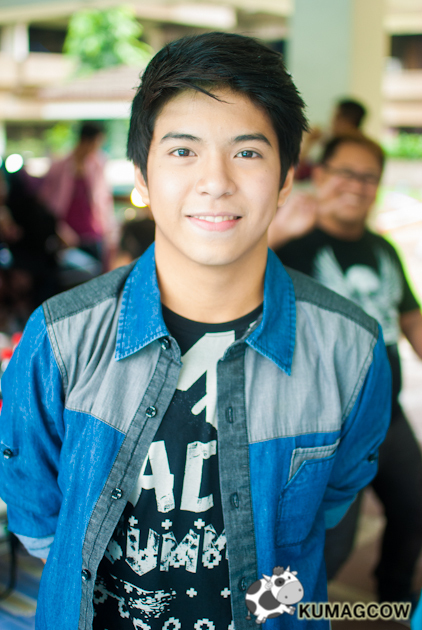 BUM has been pretty successful dressing up Nash Aguas during the BUM Black Army campaign and this time, they're proving that the season should be no reason not to wear the color so they're strengthening the line with summer colors and combining black accents to make this a BUM Black Summer. I love some of the pieces he wore during this shoot especially the shirts. Let's take a look at what transpired during the shoot! 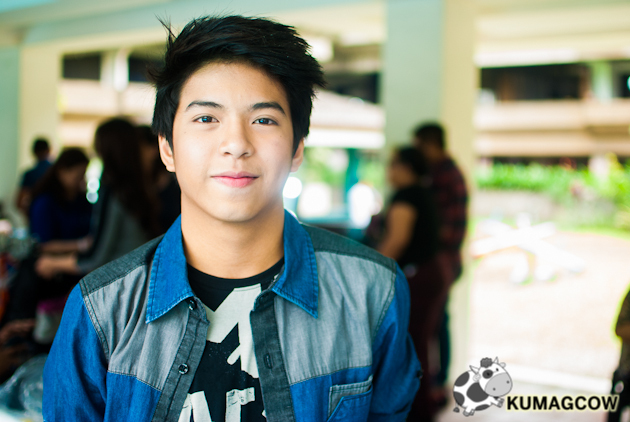 We sat down with Nash and asked how he's doing, he says he's fine and said "Now, I'm still doing Bagito, Luv U and ASAP. In Bagito, the Mom of Albie already arrived so there's something that will be revealed that you should watch out for (I think this was before the DNA test he was referring to). I am so thankful for the feedback about our previous episodes. I'm happy because they've done a lot of things about the story, they research a lot and put it in the context of what happens in a real family setting. If there's something in the script that might look like teleserye acting, they revise it and make the flow more realistic. They change it to become subtle and non mainstream. We want things to be something that an ordinary person would be able to experience so they can relate to it. We are being directed by Onet Diaz, I think he's a great director. Even if it's his directorial debut, everything we do, the experience, all of it is good because we have him there. He makes us feel very confident, he doesn't alienate us and you can ask him any kind of questions about what he wants your character to be in the series. Sometimes, when you just met, you kind of feel you can't approach them but with Direk Onet, he's very appreciative, he wants and considers suggestions from the actors too. Some of the scenes in my story line, other than Alex's dilemma with her family, I'm very conscious on how a 14 year old would act and how innocent we should do it. Albie in real life is very good, I take care of him, I haven't really done it before so you get the raw response from me in the series because it's real. Now that I've experienced it, I learned a lot and can even switch carrying him in my arms. Alex and I go a long way. She's really good since I've worked with her in Going Bulilit. She's very talented because she knows how to listen and when the director asks her, she does it without hesitation. Alexa and I have narratives in previous jobs but now that I've seen her in heavy drama she's really doing good in spite of her being new. She's not mechanical, she has poured in emotions and that's a good thing. 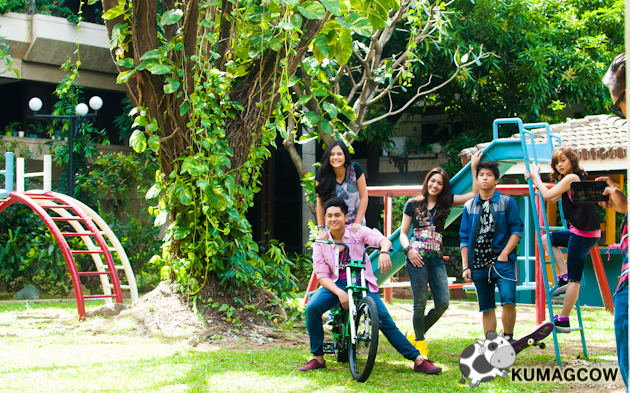 Now that Gimme5 is regularly seen in ASAP, we've got a lot of things in store for the viewers. We go to places, we go to fans themselves so it's something we really enjoy. Waiting time in ASAP is okay and we spend more of it with friends and other artists so we try and bond and make new ones. I learn from them too. I always am with the teens like Daniel and Enrique so it's like playing, I see to it that I enjoy every time I'm there. Being a young father takes a lot, I realized that in Bagito. He's heavy, you worry a lot when he gets sick, there's a lot of problems but you stand up like a man because he's your own. That's what I realize in this story. I was happy this was offered to me, but I was a little nervous about the bed scenes, I just thought of it later that I was doing something big. Showing how bad things would be in that situation was a big undertaking. The good thing is that he recovered well, he took care of the kid and loved the responsibility. I also admire Ms. Angel Aquino, working with her during the look test we didn't have hesitations because she was like a Mom to me. Everybody was good to me, they're all friendly. I even want to do theater but maybe later. For now I'll watch it. 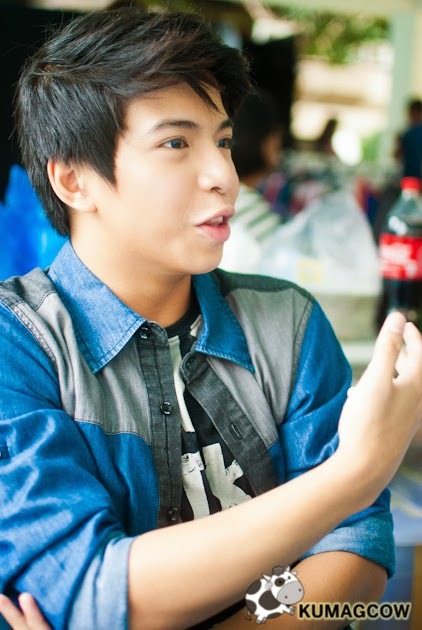 I like Coco Martin's acting. In the beginning I like being compared to Daniel Padilla, but later I wanted to be on my own, but really I'm thankful but feel I'm not worthy. It's like back then when he was being compared with Robin and how he's handling it. I'm really thankful but I'm not expecting this. I didn't know people were waiting for me outside hotels, I don't want people to think they're just fans, they're friends to me. I tell them to go home so they won't be scolded by their parents. I want to make time for them, I try as much as I can to answer back even in social media. I want to still be paired with Alexa in the future, we're already so happy with the pairing now and perhaps even in the next few years we'd still be able to work together. I'm very happy with BUM, I don't have to look for any style, BUM is my style ever since. Black is what I want most of the time, so BUM is perfect. Green is good, Blue too, I can combine things and still get black in the mix. I even use it in Bagito. I like the outfit in this shoot especially the sando and shorts. I like the denim shorts, they know what's the "in" thing today."